A delightful recipe full of flavor and taste. Navnita Das's Secret Indian Recipe ! Soak the rice in water for atleast 2 to 3 hrs. To start, boil the chicken in big container , use at least that much water that after cooking the chicken also 1 liter water remains.cook it on low flame , add half of the spices in the boiling water. Once the chicken it done, take it out in a separate plate. Take another pan add the butter to it , after butter gets hot, add the remaining spices to it and saute till the spices start getting golden , now add the boil chicken, but not the water . saute the chicken in the spices till it become light brown. Now pour the chicken stock to the saute spices and chicken and add rice and cumin seeds to it,cover the container and cook it till the rice is cooked and dry , if you think that stock is not enough you can add some water. after the pulaw is cooked ,it is ready to be served. 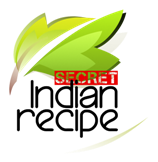 Lucknowi chicken biryani recipe (rich ch . . .
Dum chicken biryani (fragrant chicken an . . .